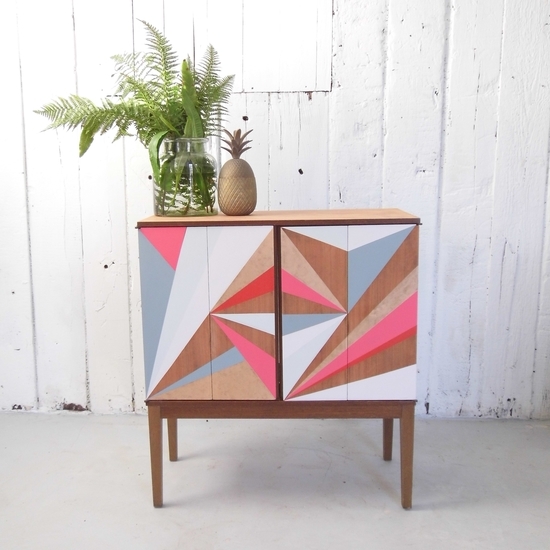 Furniture for glamorous planet savers who love a pop of colour and a tapered mid century leg! 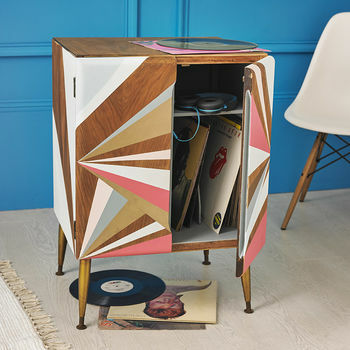 furniture for dreamers and go getters, the fearless and timid, glamorous planet savers, and everyday super heroes, but mostly we create furniture for people like us...who love a pop of colour, a flash and shimmer, and a tapered mid century leg. Our furniture confectionery is whipped up in a sky lab of whirling paints and swishing brushes, ice cold fingers, chewed pencils, set squares, and coffee. 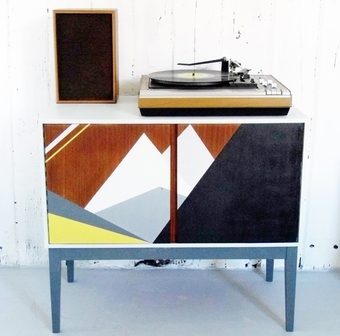 Sideboards and record cabinets are stripped, oiled and chatted to, before unique designs are applied. Mirrors are primped and preened. We only use gentle materials and elbow grease. 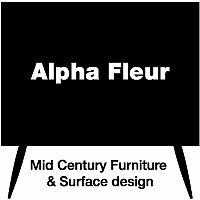 Alpha Fleur is a small company trying to do stuff differently. 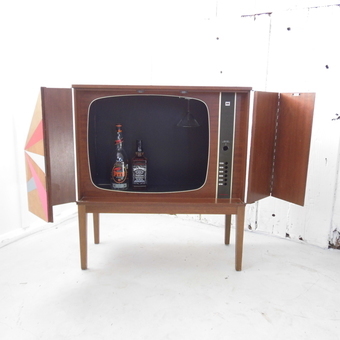 We hunt down gorgeous old furniture and get creative. 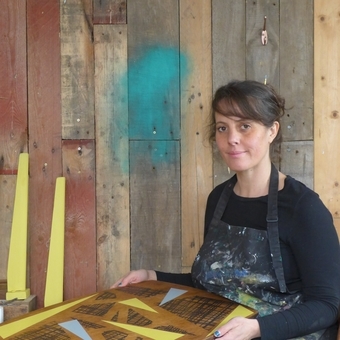 We love a collaboration, so please do get in touch if you have an idea. "Great customer service (product hand delivered) & all communications were quicly responded to. Would recommend." Please note that deliveries to Scotland will incur a fee, please contact me to get a quote for your delivery, thank you.